Hugo, CO – On Thursday, the residents of Hugo, population 750, started getting calls from local officials about the drinking water. They were told it was contaminated and to avoid drinking the water or letting their pets drink it, and even to avoid bathing in it. The purported danger came not from lead or arsenic or E. coli or any of the usual contaminants, but THC, the psychoactive ingredient in cannabis. Colorado is one of four states that have legalized recreational cannabis use as well as medicinal, although Hugo has not permitted any cannabis facilities to be built in their jurisdiction. It started when a Hugo company was using tap water to calibrate a “field testing kit” used to check employees for THC, and got a positive reading in the tap water. County officials performed 10 other tests with two different field kits, with six coming back positive. They were able to isolate the positive results to a single well, where sheriff’s deputies said they found signs of “forced entry,” although they don’t know when the damage occurred. 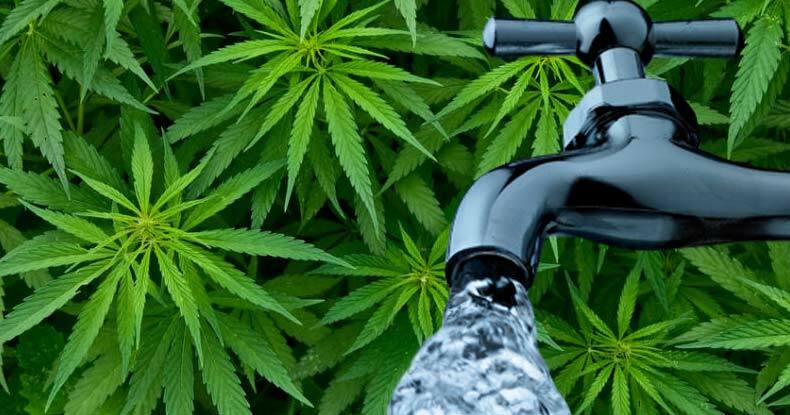 If it seems strange that water could be “contaminated” with THC or that it would be anything to worry about, that’s because it is strange—and highly unlikely. “It’s virtually impossible to find THC in water in concentrated levels because cannabinoids are not water soluble,” Perrone told Reuters in another interview. Even if someone decided to try and get the whole town high by going through the extraordinary effort of extracting huge quantities of THC, and somehow getting it to dissolve in water—after breaking into the town’s feeder well—success would be highly unlikely. The more concerning issue is the fact that this entire scare is based on the use of field testing kits which are notoriously faulty and unreliable. In January The Free Thought Project reported on a demonstration carried out by the Marijuana Policy Project, which showed how easy it is for field testing kits used by police to generate false positives. Tylenol PM was tested for cocaine, and results showed cocaine. Hershey’s chocolate showed a false positive for cannabis, and they even got a false positive for cannabis when absolutely nothing was put into the field test kit. It is estimated that tens of thousands of innocent people are in prison due to faulty field drug test kits. We will be looking for the results of the THC testing being carried out by the CBI, which will most likely come back negative. Considering all of the above information, there is no scenario that could result in THC-contaminated water that could pose a threat to residents. One has to wonder if it’s just a scare put on by authority figures who detest the fact that their state has legalized cannabis, and may have latched on to some strange but harmless substance in the water showing a false positive for THC. Die-hard prohibitionists will take desperate measures in the attempt to perpetuate a senseless, immoral War on Drugs. Update: As expected, further testing carried out by the CBI has shown there is no THC in Hugo’s water supply. The initial results from the field tests kits are thought to have been false positives, which is another example of how useless the things are. This time, instead of leading to the incarceration of an innocent person, the field test kits–along with eager, misinformed town authorities–led to a completely unnecessary water advisory and wasting of resources.